Have you heard of hotspotting? No, not those mobile internet connections. The health system near you is probably hotspotting, even if that’s not exactly what they call it. Hotspotting is the name of one approach to collecting claims data to identify and assist those individuals who frequently use health systems, but are poorly served by the services they access. These interdisciplinary hotspotting teams consider the many, complex causes of these utilization patterns. They then design targeted intervention programs. And there’s growing evidence these patients’ health can improve and their costs can be lowered as a result. Whether it’s communicating with patients, or communicating with other team members, hotspotters face some challenging communication scenarios. This episode gives three suggestions to improve communication in and beyond the hotspotting team. I have had friends on hotspotting teams telling me about it for some time now. Certainly there are other terms for the process of using claims data to identify those patients who frequently use health systems, but are poorly served by them. it’s probably happening in a health system near you. 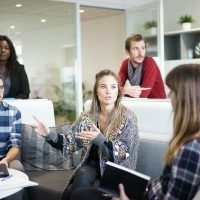 Whatever your organization calls it, there’s quite a lot of communication going on – within the team, and between the team members and the patients and communities they serve. So I want to take this opportunity to talk about some considerations for communication – what you might want to keep in mind – if you’re on a hotspotting team. Begun in Camden, New Jersey, in 2007, hotspotting involves interdisciplinary teams who seek to understand why some patients have frequent hospital visits, and how better outcomes can be reached. One of the goals is to provide patients with enhanced care and targeted intervention programs. Another is cost containment for the health systems. Being a member of a hotspotting team involves many learning opportunities. It touches on cultural humility, motivational interviewing, teamwork, coordinated care, and complex patient care. That explains why educators, clinicians, practitioners, students, researchers, health system administrators, patient organizations, and policymakers are some of the folks involved and interested in hotspotting. First we’re gonna start with communication in the patient’s lifeworld. Hotspotting teams depend on gathering information about the patient, her surroundings, and her background knowledge and assumptions about her condition. All of these are helpful building blocks for patient care, in and beyond the clinical setting. This is often done through home visits. So that’s where I’m going to start: what you are looking for, noticing, and saying when you are talking with and about your patient in the home or community setting. You know by now (and you’ve heard me say) that our understandings of health are culturally mediated. This means we each draw on a range of ways of understanding the body, science, procedures, insurance, nutrition, and more. These ways of understanding are shaped by our knowledge and our experiences–with our bodies and with the health care system. And we all learn how to make sense of and use this knowledge from the various communities we belong to. Whether or not our understandings of health and being healthy correspond to the latest medical knowledge, they make sense to us. Our understandings of health shape how we read, write, talk about, think about, listen to, process, and act on what it means to be healthy in our communities. It can be easy to think of the ways other people understand their health, health care, and health information as problematic. Especially when it’s not what you think should be normal or basic. This can lead to a deficit perspective on a patient. As a health care professional, serving the patient means starting where the patient is at, including knowing what’s important to them, and seeing others’ bodies and health as they see them. Our ideas about health are culturally shaped, aure, but these ideas are not fixed. They shift, and can be changed. that’s where you come in. So find out what’s important to the patient, remember this has basis in community. Start where they’re at, and avoid that deficit perspective. A second concern: Communication with the patient. Hotspotting had its basis in health professionals noticing that a small amount of patients were responsible for high amounts of charges, many of which were preventable, and many of which did not result in good outcomes for the patient. Part of why hotspotting has gained traction is its potential to lead to more efficient use of the health system, which in part, saves systems money. As you know, Individuals with complex health and social needs drive much of the total cost of health care. This situation tends to lead to – or at least reinforce – a negative or deficit view of these patients. This view is reflected in some of the terminology used to describe them. So when it comes to the patient, and to her health communication—what she reads, says, views, writes, or listens to–I’ll make one important point: Be careful with your language. What terms are you using, about the patient or client (you know, besides patient or client?) What kinds of values or priorities do these terms reflect? Are they frequent fliers? Or people least well served by current arrangements? For another example, “illiterate” has been used a threatening and pejorative term for decades. It can quickly take on connotations of someone being unintelligent, uninformed, backward, or somehow lacking. As I’ve pointed out before, mulitiple studies prove that people who are labelled or thought of as illiterate by one measure or another actually have multiple sophisticated ways of reading a text or image, keeping track of items, measuring and weighing, estimating and calculating, and accessing information. 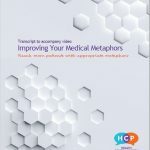 When confronted with complex health-related experiences, patients with literacy difficulties draw on a broad range of strategies and skills to understand their situation and navigate the health care system. Keeping in mind the many everyday ways your patient engages in literacy activities can be useful. You get to know your patient as a person. And you have a basis for beginning, and going forward with, the communication and education of this patient. And lastly, let’s look at communication within the team. Communication within a hotspotting team is important because hotspotting is, by design, a broad based collaborative. Teams extend across medical specializations, but also across disciplines. Yup, people who don’t usually work together! yet interprofessional (IP) team work has been shown to decrease burnout and improve care and decrease costs. But they can be a tough on communication. We all tend to think our way of seeing things, and talking about things, is normal. This is because we are socialized into the ways we talk, think, act, and more. Earning a professional degree is a significant socialization process. In various professional programs, people learn to talk, think, read and write in ways that are necessarily specific to an area of expertise. As you’re aware, across and even within groups in the health professions, the terminology is different. The focus is different. In short, even within health care, people’s ways of thinking, talking about, and ‘doing’ health are different. as a result of our participation in our various professional communities. So when it comes to talking about health, talking to someone outside your professional neighborhood takes work. Hotspotting programs seek to serve the most vulnerable members of society by providing enhanced care and services. At the same time, hotspotting seems to hold great potential for addressing the social determinants of health, increasing interprofessional learning, avoiding penalties to hospitals for high readmits, and reducing unnecessary patient hospitalizations. And its popularity shows no signs of slowing, check out #hotspotting the next time you’re on social media; there’s nice stories there! As I’ve pointed out here, there’s no lack of communication considerations for these teams. 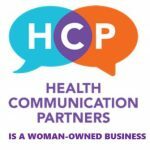 If you would like further information on communication and hotspotting, go to health communication partners.com. And reach out to me, i’d love to help. This has been 10 Minutes to Better Patient Communication, and I’m Dr. Anne Marie Liebel.